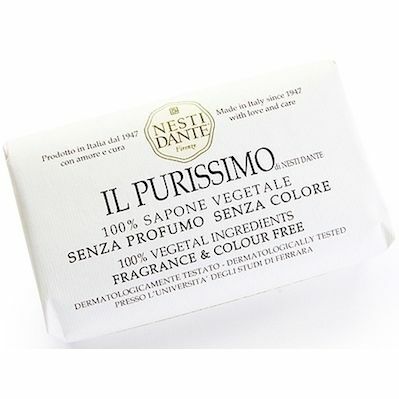 C L E A N :: Bar Soap :: Il Purissimo di Nesti Dante Natural Bar Soap - 6/Pack - ShavingCream.com - The cream of the shaving crop. 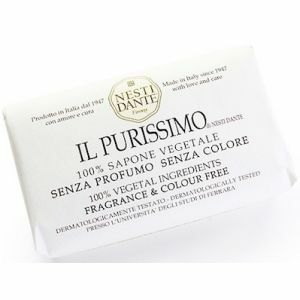 Nesti Dante is pleased to announce the arrival of Il Purissimo 150 gr. natural bar soap. 100% vegetable soap, exceptionally gentle, colorant and fragrance free: simple and 100% pure. Offers natural hydration and protection, which makes it ideal for the most sensitive of skins. A real bath-time treat.